Once upon a time, there was a kid named Brian Spotts. He lived in Colorado, and he liked swimming, volleyball, video games, singing, rafting and having a good time. And sometimes, he liked to balanced eggs. Like a lot of people, Brian believed that eggs could only be balanced on the equinox. 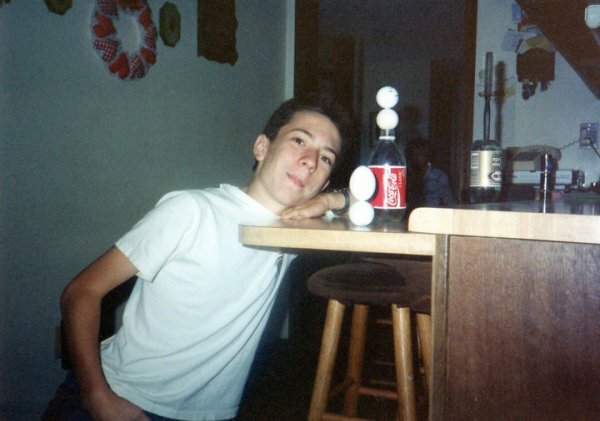 As a result, once or twice a year, he and his brother Kevin balanced eggs at home and at school and told people that you could only balance eggs on the equinox. They wondered how many eggs they could balance if they had the time and the space, and they joked about trying to set the world record for most eggs balanced at the same time. 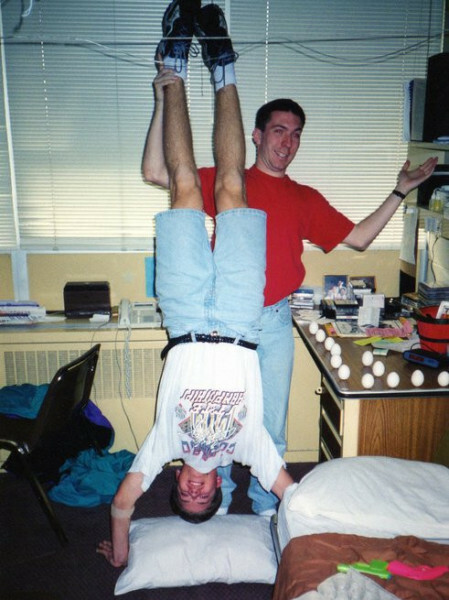 Then one day, while sitting at his desk job in college, Brian decided to research egg balancing, the equinox, and the procedures for breaking a world record. It turned out that eggs only balancing on the equinox was a joke, but setting a world record was not. It was a lot of work. He had to get permission to schedule a room on campus, which meant he had to form a club and find a group to sponsor them. He enlisted the help of some friends and hung posters around campus with the tag line, "A man. A plan. 1000 eggs." He even bribed participants with T-shirts that said "World Record in the Balance." 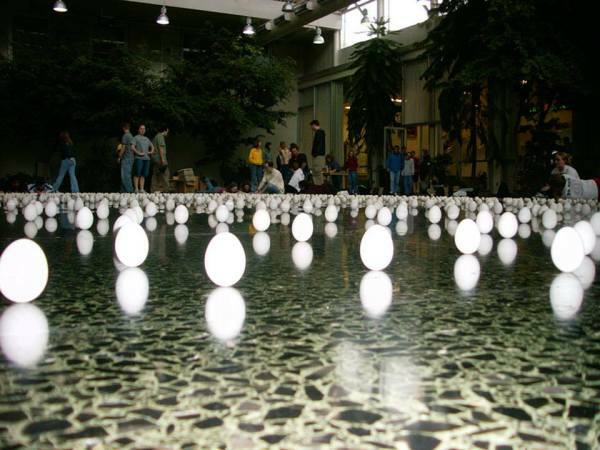 On March 15, 2003, Brian Spotts led the activity to break the record for Most Eggs Balanced Simultaneously by a Group. 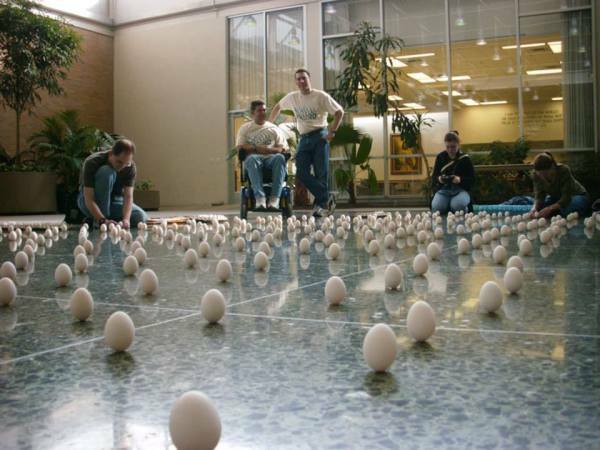 In about 6.5 hours, about a hundred students managed to balance 1,290 eggs on the floor of the Wilkinson Student Center at Brigham Young University. He got a thirty second spot on a local TV station, and received a Guinness World Records Certificate. He posted some pictures on his free web group and thought that was the last time he’d balance eggs.